Newark Castle is located by the side of the River Clyde. It is owned by Historic Scotland and is regularly open to the public. For opening times and prices, visit the castle website. 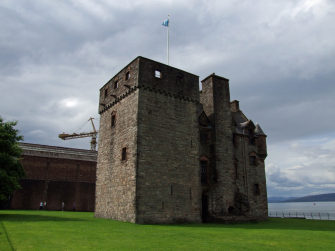 Sir George Maxwell of Newark Castle (now in Port Glasgow) was a supporter of the Covenanters. In 1673 he was fined £94,800 for attending conventicles, avoiding the parish church and having three of his children baptised by an 'outed' minister.